Carrot seed oil has various health benefits such as antiflatulence, disinfectant, cytophylactic, diuretic, deworming, purifying, and can improve menstrual flow. However, carrot seed is one of the underestimated essential oils. This oil blends well with Juniper, Bergamot, Lavender, Lime, Lemon, Orange, Cedar Wood, Geranium, and Avocado. 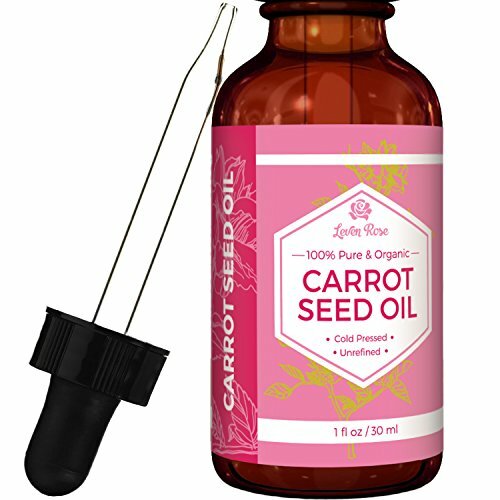 Learn more about Carrot Seed Essential Oil or find a great deal on the best selling Carrot Seed Oil from the items below! 100% Pure, Organic Therapeutic Grade Carrot 10ml Essential Oil Botanical Name: Daucus carota Comes in 10ml amber glass essential oil bottle. European Dropper Cap included Carrot Essential Oil has a dry woody aroma with an earthy musk. What sets Healing Solutions Essential Oils apart is superior cultivation of ingredients that are the best in the world. Combined with superior distillation and bottling care process, We GUARANTEE that our oils are aromatically superior and more effective than any other oils - if you disagree we will refund your money! The Leading Aromatherapy Associations (Alliance of International Aromatherapists (AIA), International Aromatherapy and Aromatic Medicine Association, Aromatherapy Trade Council, and others) all state that essential oils should not be taken internally (regardless of purity or organic origin) unless under the guidance of a health care practitioner trained at an appropriate level . As such, all of our oils carry a label warning that the product is NOT FOR INTERNAL USE. 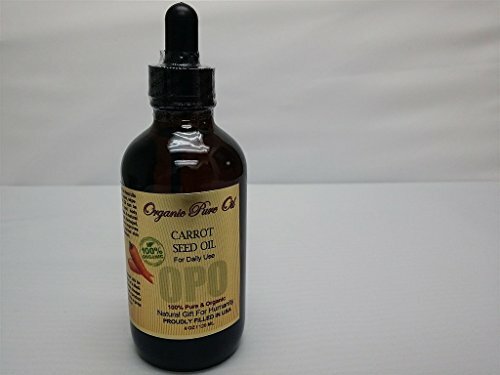 Silky Scents EO76-5ML Carrot Seed Essential Oil 100 Percent Pure Therapeutic Grade - 5 ml. Aromatherapy Properties: (Uses). Among its uses are tonic stimulant liver regenerator and control of cholesterol. Recommended for mature skin and/or wrinkled skin. Due to its stimulating effect on red blood cells it adds tone and elasticity to the skin. Carrot Flower Its properties make it useful for problems such as weeping sores and ulcers vitiligo purities boils carbuncles eczema and psoriasis. May help to relieve feelings of stress and exhaustion. Used in massage oils and baths as it is considered an excellent blood purifier due to its detoxifying effect on the liver. It is used to treat jaundice and other liver disorders. Avoid during pregnancy! Blends well with: Bergamot Lemon Orange Sweet and Rosemary. 100% Pure Essential Oil Capacity - 5 ml. Silky Scents EO76-10ML Carrot Seed Essential Oil 100 Percent Pure Therapeutic Grade - 10 ml. Aromatherapy Properties: (Uses). Among its uses are tonic stimulant liver regenerator and control of cholesterol. Recommended for mature skin and/or wrinkled skin. Due to its stimulating effect on red blood cells it adds tone and elasticity to the skin. Carrot Flower Its properties make it useful for problems such as weeping sores and ulcers vitiligo purities boils carbuncles eczema and psoriasis. May help to relieve feelings of stress and exhaustion. Used in massage oils and baths as it is considered an excellent blood purifier due to its detoxifying effect on the liver. It is used to treat jaundice and other liver disorders. Avoid during pregnancy! Blends well with: Bergamot Lemon Orange Sweet and Rosemary. 100% Pure Essential Oil Capacity - 10 ml. The Original Egyptian Carrot Seed Oil 100% Pure, Natural & Virgin. Egyptian Carrot Seed Oil is a 100% pure, cold pressed oil pressed from the seeds of Queen Anne's Lace. 100% pure Egyptian Carrot Seed Oil is not the same as carrot infused oil or carrot seed essential oil. No, pure Egyptian Carrot Seed Oil is the complete oil extraction from carrot seeds grown in the Nile region of Egypt. 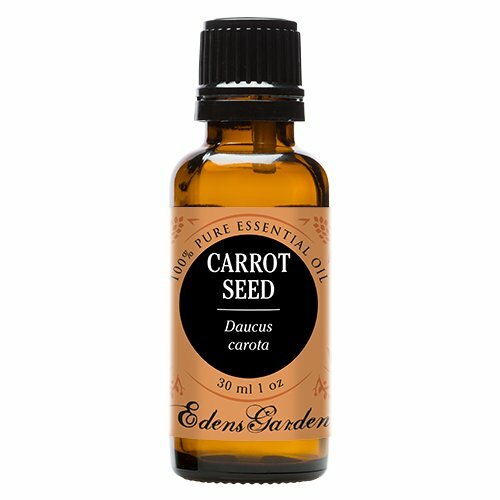 This rich, emollient oil easily absorbs into skin feeding it with its pro-vitamin A, beta-carotene and vitamin E. Pure Egyptian Carrot Seed Oil offers all day protection from moisture loss as it soothes skin and lessens the appearance of wrinkles. Perfect for maturing and problematic skin types. ALL NATURE'S KISS PRODUCTS ARE FOR EXTERNAL USE ONLY! Use care when using this essential oil. Pregnant women should avoid use. Keep out of reach of children. Avoid contact with mucus membranes and eyes. If you have a medical condition or believe you may have a medical condition, consult with your licensed health care professional before using this product. Always dilute prior to applying topically. For use in aromatherapy and other applications. For all other applications carefully dilute this oils with a carrier oil. Examples of carrier oils are foraha, jojoba, grape seed, almond or olive oil. If you are unsure how to use this product, please refer to an essential oil book or other professional source for suggested usage and proper dilution methods. 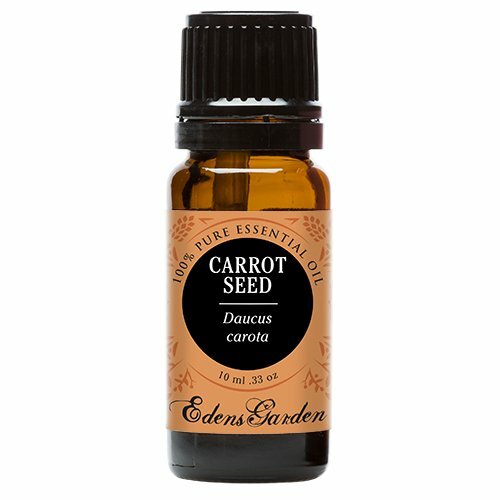 Nature's Kiss Carrot Seed Essential Oil is 70% carotol content. The aroma of Nature's Kiss Carrot Seed Essential Oil is herbaceous, somewhat sweet, mild, spicy and dry. Some people consider it unpleasant while others really enjoy it so it truly does depend on the individual experiencing it. 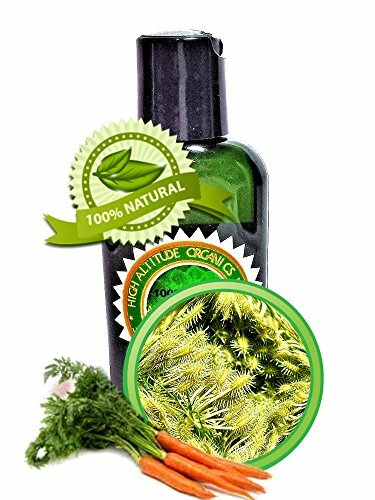 HIGH ALTITUDE NATURALS TM Virgin Carrot Seed Oil is of golden-to-dark-green color extract from carrot seeds, with extraordinary skin protection and conditioning benefits. Carrot Seed Oil is cold-pressed from pure carrot seeds, and is the most potent source of the highest concentration of carotenoids available. Carotenoids are most abundant in carrots and carrot seeds. 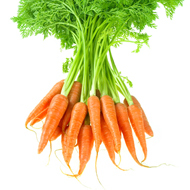 Carrot seed oil antioxidants protect human cells from harmful free-radical attack. It is a powerful antioxidant, along with the tocopheryl and vitamin E that it contains, which may directly reduce many harmful effects of UVR, enhance skin immunit. Carrot Seed Oil also acts as a natural tanning enhancer, producing a visibly golden tan in a short amount of time. Carrot Seed Oil is great for skin care. It is used to improve skin tone, as well as to nourish and tighten the skin. It revitalizes and improves elasticity. Great for all-over skin health. Fights wrinkles and is a great outdoors skin protective product. 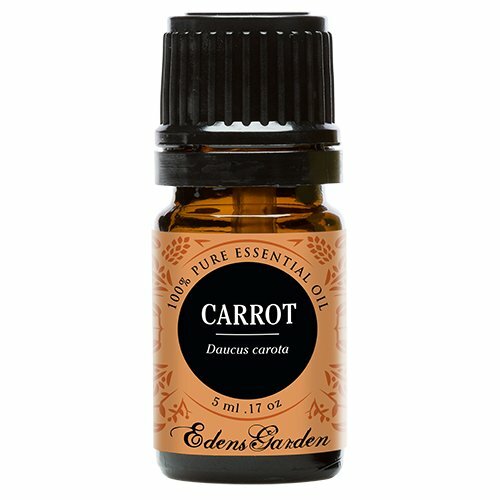 Silky Scents EO76-15ML Carrot Seed Essential Oil 100 Percent Pure Therapeutic Grade - 15 ml. Aromatherapy Properties: (Uses). Among its uses are tonic stimulant liver regenerator and control of cholesterol. Recommended for mature skin and/or wrinkled skin. Due to its stimulating effect on red blood cells it adds tone and elasticity to the skin. Carrot Flower Its properties make it useful for problems such as weeping sores and ulcers vitiligo purities boils carbuncles eczema and psoriasis. May help to relieve feelings of stress and exhaustion. Used in massage oils and baths as it is considered an excellent blood purifier due to its detoxifying effect on the liver. It is used to treat jaundice and other liver disorders. Avoid during pregnancy! Blends well with: Bergamot Lemon Orange Sweet and Rosemary. 100% Pure Essential Oil Capacity - 15 ml. Silky Scents EO76-1OZ-30ML Carrot Seed Essential Oil 100 Percent Pure Therapeutic Grade - 30 ml. Aromatherapy Properties: (Uses). Among its uses are tonic stimulant liver regenerator and control of cholesterol. Recommended for mature skin and/or wrinkled skin. Due to its stimulating effect on red blood cells it adds tone and elasticity to the skin. Carrot Flower Its properties make it useful for problems such as weeping sores and ulcers vitiligo purities boils carbuncles eczema and psoriasis. May help to relieve feelings of stress and exhaustion. Used in massage oils and baths as it is considered an excellent blood purifier due to its detoxifying effect on the liver. It is used to treat jaundice and other liver disorders. Avoid during pregnancy! Blends well with: Bergamot Lemon Orange Sweet and Rosemary. 100% Pure Essential Oil Capacity - 30 ml.